Hugh Young is steering clear of opportunities in frontier markets over fears of a repeat of the collapse seen in Vietnam in 2009. Young, who is managing director of Aberdeen Asset Management’s Asia division and oversees £24bn in AUM, has not jumped on the frontier markets bandwagon because he sees them as too risky. y poured in and now the market has collapsed,” he said. The Ho Chi Minh City Stock Exchange’s VN index peaked in February 2007 at 1,137, then bottomed out in February 2009 at 241. It is currently trading at around 454. What happened in Vietnam has deterred Young from investing in other popular frontier markets, which are currently attracting investor attention. The only frontier market in which the manager invests is Sri Lanka, where he holds blue-chip Aitken Spence, DFCC Bank, the National Development Bank, and online supermarket Keells. Young said Sri Lanka does not have the same risks as other frontier markets because it is home to both multinational and home-grown companies. Meanwhile, he favours Asian financials, although he has been avoiding major banks in China and Australia for some time, finding better opportunities in Singapore, the Philippines, Malaysia and India. “In this part of the world, banks are pretty much plain vanilla, just offering mortgages and credit cards. They do not do the daft things that banks do in the West. The tight regulatory environment put in place here eliminates the chance of them making the same mistakes,” he said. Last year, Young reduced his exposure to cyclicals including consumer stocks, and bought into other areas, including HSBC, which he has bought back into for the first time in 15 years after the bank renewed its focus on Asia. Heritance Ahungalla, one of Sri Lanka’s Aitken Spence Group’s premier hotels, has unveiled a $35 million sapphire studded cake, which the hotel hopes will be a serious contender for the “World’s most expensive cake” title this year. 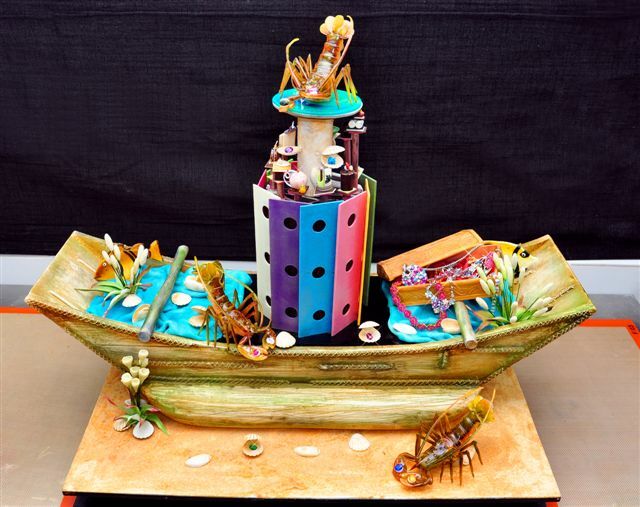 Created by their celebrity Chef Dimuthu Kumarasinghe, the ten-layered “Pirate’s Fantasy” comes studded with jewels and different flavours that will symbolise the hotel’s beach front property on the coastal fishing village of Ahungalla. A replica of the “Pirate’s Fantasy” cake was unveiled on March 26 to a distinguished audience that included top cricketers from Sri Lanka and the visiting England team. 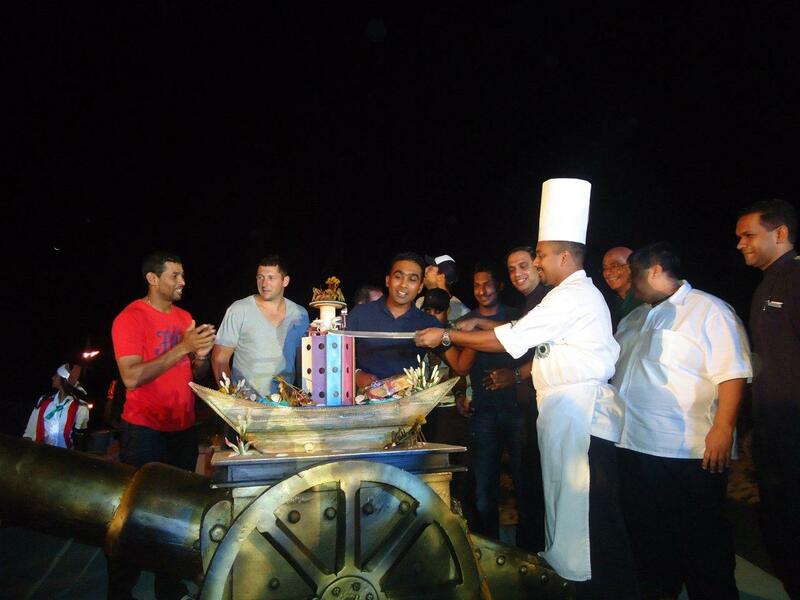 Sri Lankan skipper Mahela Jayawardene, former skippers Kumar Sangakkara and Tillakaratne Dilshan and England’s Tim Bresnan, Ravi Bopara and Steven Flinn, were mesmerised as the sugar structure was unveiled atop a brass cannon gun. “This signature cake, that symbolises the sea, is the first ever for a five-star beach resort, the jewel studded cake will be anyone’s fantasy. We are incredibly proud of Chef’s achievements,” said Refhan Razeen, General Manager, Heritance Ahungalla. Chef Kumarasinghe, or Chef DK as he is popularly known, is a celebrity in his own right, having won five individual gold medals at the Culinary Olympics in Germany and four golds at the Culinary World Cup in Luxembourg “The Pirate’s Fantasy, will undoubtedly be his unique masterpiece,” enthused Razeen. He ends his sugar craft, by studding the cake with ten different sapphire stones, crowning the top with the most expensive and the rarest one, a “Padmaraja” or the ‘King Sapphire”. The dinner will include ten kinds of award winning petites fours and the meal will end with the Pirate’s Fantasy. “The unbelievably lucky person to be able to purchase this cake, will not only have the pleasure of owning this masterpiece, but will know the feeling of holding the crown jewels in one’s hand,” added Razeen. A member of one of Sri Lanka’s largest diversified conglomerates, the Aitken Spence PLC, Heritance Ahungalla is part of the Aitken Spence Hotels family. The Pirate’s Fantasy is the latest in the line-up of product offerings, the Aitken Spence Hotel chain is offering to pamper well-heeled clients who patronise their resorts in Sri Lanka. A Geoffrey Bawa designed hotel, Heritance Ahungalla secured the Sri Lanka Tourism award for the best five-star resort recently. The hotel’s culinary team last year won a haul of 145 medals at the 2011 Culinary Arts competition organised by the Chefs Guild of Sri Lanka. Aitken Spence, is currently Sri Lanka’s largest resort operator and the largest international hotel operator in the Maldives. The group also manages a portfolio of hotels in India and Oman.